Be it for a person, a destination, or an activity, all great endeavors sprout from attraction. 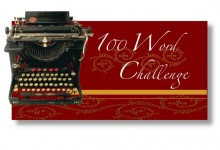 The prompt for this round of Thin Spiral Notebook's 100 Word Challenge is ADVENTURE. You showed up like you had always belonged, the missing element laid bare. I had been riding the current, an oblivious fool waiting for life to start, and suddenly found myself perched on the edge of intoxicating calamity. I saw it right away. A barely there jolt in your casual stance, irises flashing for just a nanosecond. A tiny pucker of a dimple in your cheek as you try to play it down. That's when I knew it wasn't my imagination. My off-guard mind scrambles to assemble a dazzling opener. I stand up, and take a step toward epiphany. i LOVE reading these. you are extremely talented.